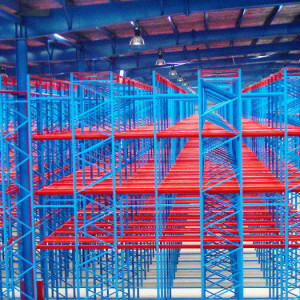 Pallet racking systems offer warehouse and distribution centers many benefits. They can help optimize space and increase productivity. Investing in a pallet rack system is a good investment for any business. Especially when space is tight, however for first-time buyers this can be tricky. To help you feel more at ease with the purchasing decision, we have gathered several reasons that will help you experience the benefits of pallet racking systems. All pallet racking systems are designed to withstand great strength from impact, including possible forklift and trucking damage. Durably enforced, pallet racking is resistant against any kind of wear-and-tear that occurs daily in warehouses. Using only the best quality steel available, our pallet racks are structures that can be easily repaired in the unlikely incident they’re damaged. An increase in safety is a huge benefit of pallet racking. Due the high quality of the materials used, pallet rack structures are made with safety in mind. 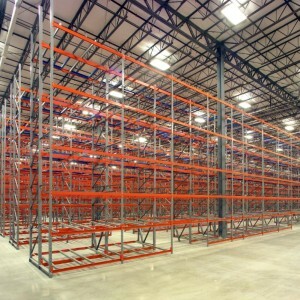 Pallet racking offers optimum safety, strength, and reliability to help you feel safe and secure. In the end, the safety of both the inventory and especially individuals working in your warehouse outweighs any of the cons of pallet racking. The benefit of being able to easily access your pallets will help increase productivity and decrease frustration. Pallet racking provides easy access to inventory which will help your workers work better. The design layout of pallet racks provide space both vertically and horizontally to allow forklifts to easily maneuver. 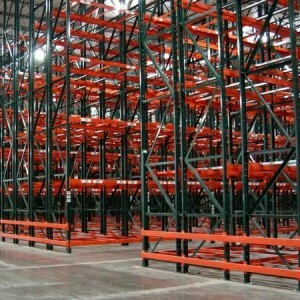 Pallet racking allow for maximum utilization of space, which is inherent in the sleek design of a pallet rack system. Increase ground floor space by allowing for vertical storage makes it efficient and effective for inventory management, especially when operating a forklift. With a wide variety of pallet racking systems, your business will easily select the perfect option for your warehouse and inventory. Pallet racking is an affordable way to organize your inventory while keeping it safe from the general wear-and-tear of the warehouse. With a variety of styles available, both new and used styles can be an inexpensive way to organize a warehouse or job site. The long-term investment of a quality pallet racking far outweighs the damage that can happen to inventory or the loss of time without efficient measures in place.